MOTHER 3 was released in Japan almost four years ago now… and released nowhere else. So fans came together to translate the game into English, French, Spanish, and many other languages. But I don’t think most Western fans know that there’s also been a completely separate project to translate the game into Chinese and that the project is almost nearly complete now. 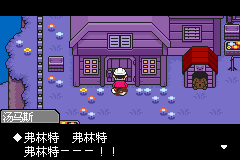 BTW, the game is known there as “地球冒险”, which is something like “Earth Adventure”. I’m fairly certain there’ve never been any official Chinese versions of any of the games in the series, though I did come across this a while back. I studied Chinese many years ago but it’s almost all forgotten now. I can’t even tell which kind of Chinese this translation uses. Can anyone provide more details? 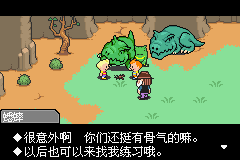 Is there anything about the Chinese language that would make a Chinese hack of Mother 3 more difficult–or even just different in some way–than an English one? When you guys were finishing up the English translation, you were pretty open about sharing your work and tools with teams interested in translating the game into other languages. I’m wondering why this team went through the trouble of doing everything from scratch when the translation tools were already available. Did they not know about the English translation? Did they just want to do it themselves (a perfectly fine idea, just not how I’d have likely gone about it)? 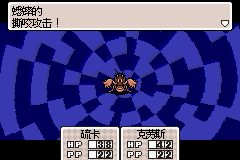 The way the game was programmed it would be a lot easier for a Chinese translation to be made from the Japanese ROM, especially without a need for a variable width font (which was probably 75% of all the work for us). The programmers have most of the entire SJIS font set in the ROM already, and the encoding was 16-bit, so it was perfectly set up already for something like Chinese. Using the English version as a base would’ve probably been a lot more headache, especially moving back to 16-bit and putting all the Chinese characters back into the font set somehow. Mato: from my memory, there is only one currently-used written Chinese language (aside from zhuyin fuhao, pinyin, and Xiao’erjing, which are used as teaching tools exclusively), but all of the spoken languages say the characters differently, even though they communicate the same idea. tl;dr: it’s Simplified Chinese characters. Great job! It’s always great when others get to play an awesome game like M3. I wonder what’s the thought process behind 硫卡 for Lucas and 弗林特 for Flint. 克劳斯 seems to be the common way to write “Claus”, strangely. Traditional Chinese is still used in places such as Taiwan; it’s just that mainland China and most other places use Simplified. BTW, I am Chinese myself, but I learned Traditional Chinese, so I can’t read too much of this from the screenshots. 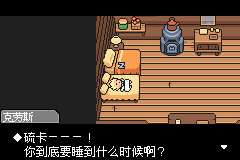 Heh, kinda neat how many langauges Mother 3 is getting into. i think its mandarin.But its kinda hard to read for me as it looks much different when its typed and not written.Makes me wonder how far the german translation is? when it comes out ill post a image for you! ufff and the italian traslation is … dead…. Mandarin refers to a dialect of spoken Chinese. Zhuyin, pinyin, etc. are not written languages but systems of transliteration. 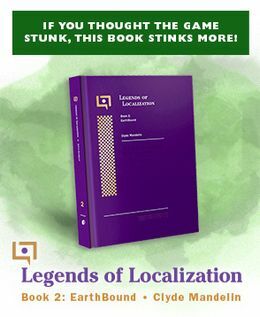 The characters in the translation are simplified. Macau, Taiwan and HK both use traditional characters, but there are many variants as to how to write particular characters. Overseas Chinese (IE, in Singapore, the US, the UK, etc) use traditional characters. China has/has had lots of written languages. 3) Written dialect (when people IM they don’t use the sort of Chinese that’s being used for this translation. There are many Wikipedias in different dialects of Chinese. I’m one member of the CHINESE translate team(but I don’t join this project). Well，I just come here say something about some question UPON. 1.”地球冒险”（Earth Adventure）was a translated name create by some company (FC period), and spread in CHINA. Maybe this name is not so good, but be afraid of fans miss our work, we finally used that name. 2.This CHINESE version ues the simplified Chinese,and we have no plan to made other version(like the traditional Chinese). Because the fact is ,in CHINESE mainland,the people who use the simplified Chinese, can easily read the traditional Chinese. But inversely，that would be a reading problem. So，when CHINESE mainland translate team offer their work,they usualy make two version for kindness (ONE simplified Chinese, OTHER traditional Chinese) . Pity, our kindness don’t obtain a fair treat——some team some work only has the traditional Chinese VERSION. OK, so this time we choose the same way, for nothing, but some little temper. 3. THANK YOU FOR YOUR ATTENTION ，ENJOY . Is there any way to revive the Latin American Spanish translation? I’m only asking because I want to help with it.